$789.00 each List: $1,035.00, You Save: $246.00! With nearly a century of experience, the George H. Way Drum Company has a long history of crafting high-quality instruments without all of the extraneous design frills introduced by larger drum companies. 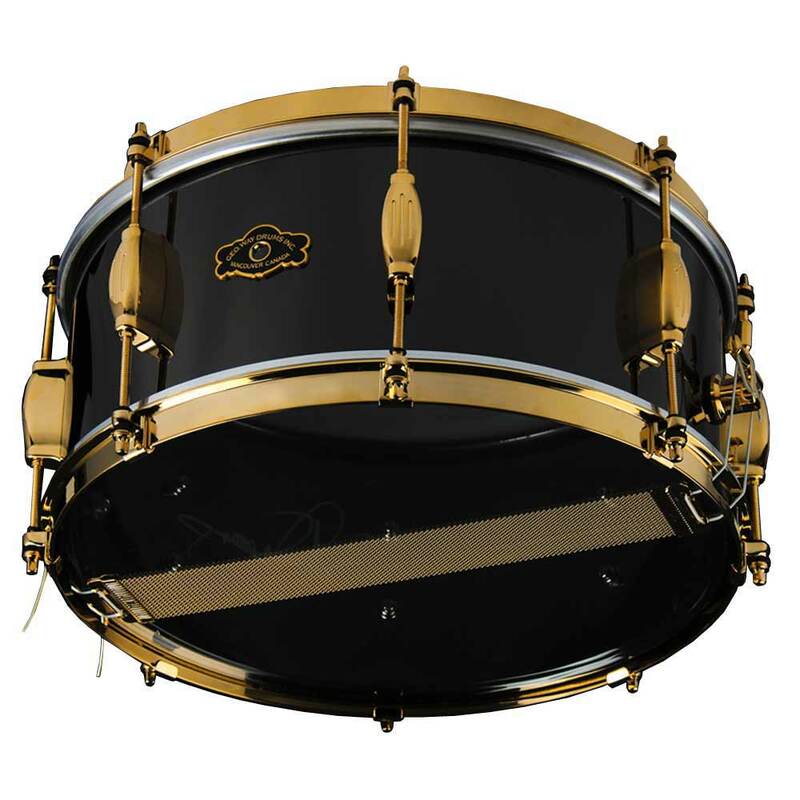 The "Prestige" Snare Drum features an extra-thick black nickel-plated brass shell, giving this drum the maximum in volume production and cutting power with a very bright tone. Vintage-looking Streamline lug casings and triple-flanged hoops, as well as a specially minted badge are also included. The gold-colored plating on every metal component of the drum and the polished finish give this instrument that truly professional look. George Way now includes this drum with the "CSO" triple snare throw-off, which includes three snares of different thicknesses designed to get a wider range of usable tone out of the drum, tailored towards orchestral percussionists. Single-flanged hoops can be custom ordered at an additional cost. Please call us if you wish to order these hoops.